Aging residential facilities in the Ikenberry Commons neighborhood prompted major reinvestment in renovation and new construction at the University of Illinois. Mackey Mitchell, working with FGM as the Architect of Record, developed a strategic plan to upgrade the quality of their student housing to modern standards and provide significant outdoor areas for resident use and strengthen campus connections. Residence Hall II, a $52 million, 480 bed addition provides a sense of place for its 3,500 students. We are currently working on Residence Hall III. 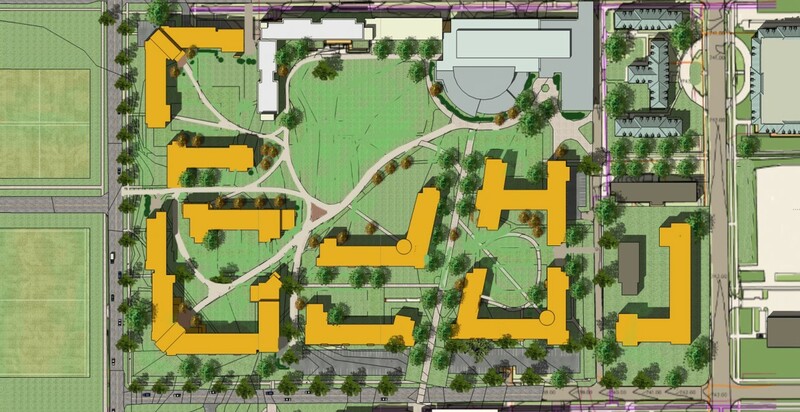 With a design/bid/build project delivery system, the team envisioned the building as a six-story "L-shaped" hall located at the southwest corner of the neighborhood to form an internal courtyard for residents and strengthen campus connections. A glassy-corner on the public side has become a neighborhood icon. The team also delivered a LEED Platinum project with more than 80 points garnered towards achieving this high rating. Bousfield Hall includes a number of strategies for optimizing energy efficiency, including a green roof and an efficient exterior building envelope. Metering of individual floors allows students to see and monitor energy usage in real time. 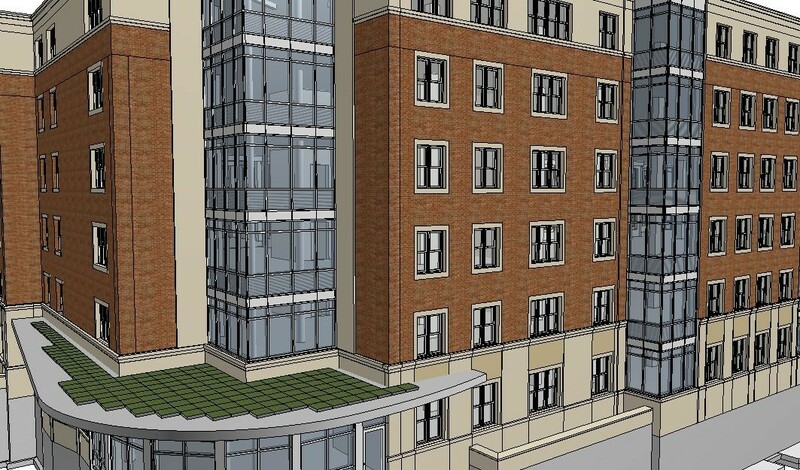 According to Associate Director of Student Housing Kirsten Ruby, " We wanted to provide options that will make the University of Illinois the first choice for the best and brightest students." Students have been "wowed" by the spectacular views found throughout the six-story building. From the lounges to their rooms, students have expansive views to Memorial Stadium, the green roof, or the grassy area in the middle of the Ikenberry Commons. Plan sketches of key areas help to define design direction. 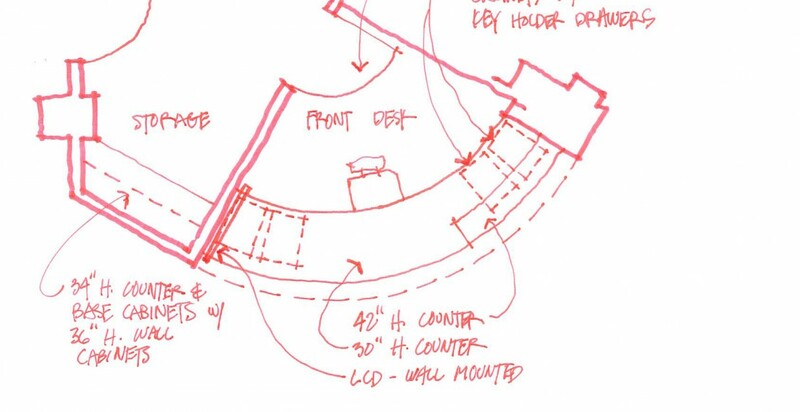 Here is a sketch of the front desk indicating the casework that will be installed. Master planning a site with multiple buildings helps the design team and the client prioritize phases of construction. 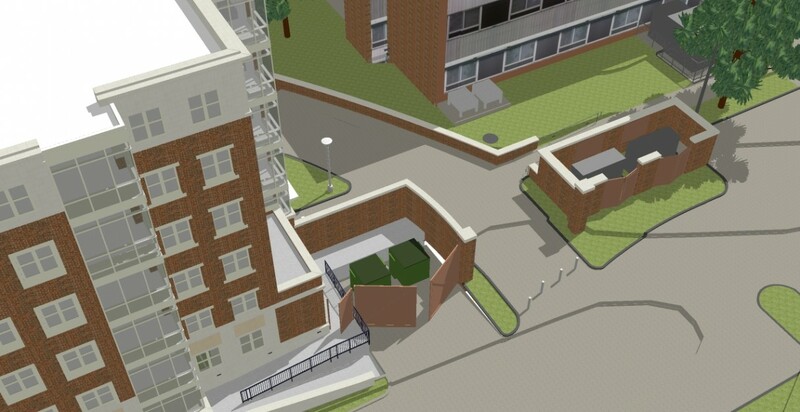 This 3D model was used to design the service areas of the two buildings. 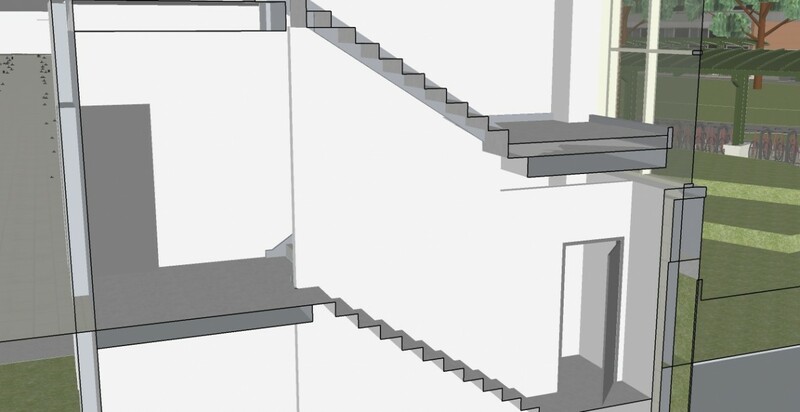 Studying the stair helps to coordinate landings and stair openings. Glassy areas on the corners need special study to verify that it fits within the building hierarchy. I love it. It feels more like home and it's absolutely 100 percent better than the other dorms on campus.